Welcome to the Undergraduate Program at USF Physics! Please see the links at the left for helpful information. Why Physics? And what can I do with a physics degree? Are you intrigued by the world of physics but you don’t know what a physics degree can do for you? 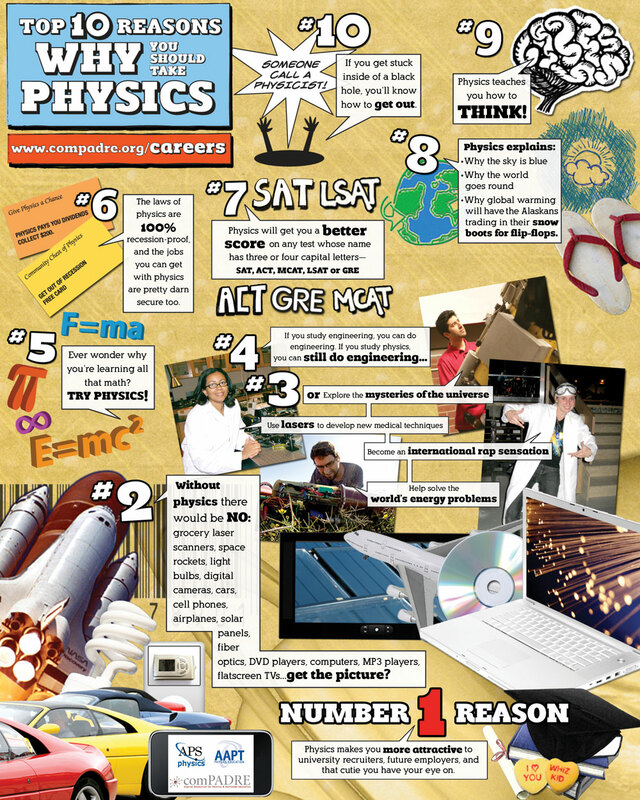 It turns out that physics is one of the most versatile degrees with many career options. Keep reading and visit the links below to find out more! Salaries for bachelor’s degrees in physics compare VERY well to other fields. See this graph! Salaries increase even more for those students that pursue graduate degrees in physics. See the data here! The above list shows the most common fields for graduates with physics Bachelor’s degrees, but the possibilities are endless. This chart illustrates how far-reaching physics can be. A Physics degree is a GREAT stepping stone to medical or law school. Physics students score exceptionally well on the MCAT and LSAT relative to other majors. See the data here. And a physics degree is a great complement to other majors. One third of all physics students double major as undergraduates. Some of the Most Common Double Majors of Physics Bachelors: Mathematics, Engineering, Chemistry, Music, Computer Sciences, Education, Economics, Philosophy, Biology, Political Science, Geology.